When: April 22-March 29, 8:30 a.m.-3:30 p.m.
You probably know that Spring Break for the kids starts on April 22nd, but did you realize that April 22nd is also Earth Day?! Earth day is an awesome opportunity to refocus you and your family on positively impacting the planet. 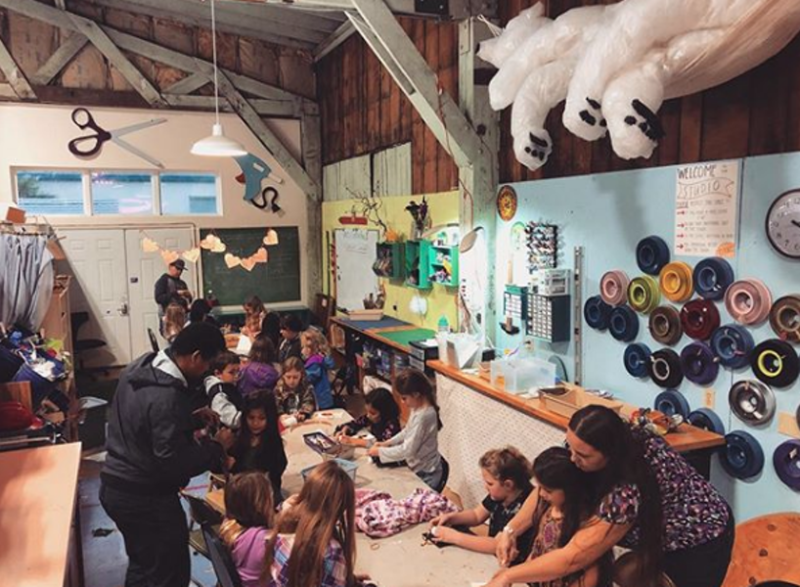 SCRAP is hosting a week long Spring Break Camp for kids grades 1st-5th Monday, April 22nd through Friday, April 26th from 8:30 to 3:30 p.m., This creative reuse art camp takes place in SCRAP’s Education Studio located inside SCRAP Humboldt’s creative reuse store at 101 South H Street, Arcata in The Marsh District.